seal allowing the frame and blind to clip on within a matter of seconds. When customers have had a new set of doors, windows or even a new conservatory drilling the window frames is not a preferred option, having perfect fit allows them to eradicate this process of drilling as Perfect Fit is a screw and drill free blind solution. The Perfect Fit will help with light and heat control, even more so with the frames covering any potential gaps. The frames will need to be connected but the blind is pre-tensioned so you can put it straight up and move it up and down using the handles. There is a plastic tilt control to move the slats. Connect the side frames in to corner joints and tighten screws to secure in to place. Perfect Fit frames are available in White, Brown or Golden Oak. +15% on prices for Golden Oak frames. Place a credit card in corners of the window frame in order to space brackets correctly. Insert the brackets by pushing behind window seal. Perfect Fit is ready to be installed. Take the frame with the blind drawn up and clip on to the 4 brackets which will line up with slots in the side frames. 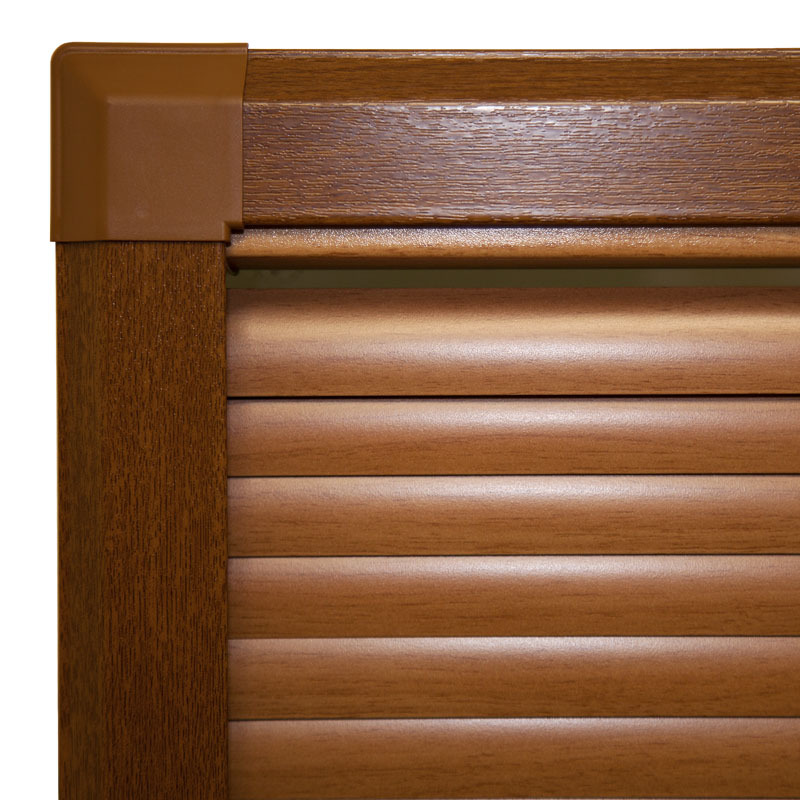 Our prices for Perfect Fit wood venetian blinds are very simple to see and work out. What you see is what you pay. 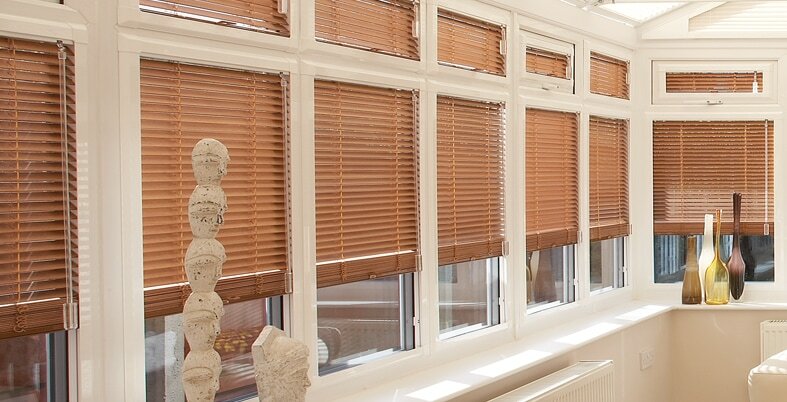 Our blinds are made to measure so we will require your exact measurements when ordering. The price boxes below quote for a choice of size options in order to see which prices your measurements and choice of fabric apply to. ​Prices include vat, delivery and a 3 year guarantee!! All blinds up to a 500mm drop come pre-tensioned to move on a handle. Any blind over this drop size comes with a cord lock control due to the weight. In line with child safety a hook is supplied to wrap any excess cord around.